In this issu e’s Diplomate Spotlight, we want to welcome Dr. Mindabeth Jacobs who will be appointed to our Board of Directors at the ABO annual meeting in November. Dr. Jacobs will serve an initial 3-year term and has been a Diplomate and active volunteer with ABO since the beginning. Before the first exam was even administered, Dr. Jacobs was serving as our Chair of Item Writing and still serves in that capacity today. She has also put in countless hours as a member of both the Item Review Committee and Form Review Committee, ensuring exam standards meet or exceed quality requirements for both accreditation and professional purposes. A 2003 graduate of Nova Southeastern University College of Optometry, Dr. Jacobs completed a residency in ocular disease at Omni Eye Services in Atlanta, Georgia and attained her Fellowship in the American Academy of Optometry a short time later. 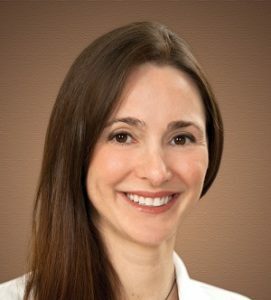 She has authored numerous articles on the diagnosis, treatment and management of diseases of the eye and is currently a pediatric optometrist with Thomas Eye Group in Sandy Springs, Georgia. Dr. Jacobs is a strong supporter of Board Certification and believes that becoming certified and participating in maintenance of certification assures patients that physicians are holding themselves to a higher standard and helps to demonstrate knowledge, skill and competency. Board Certification gives optometrists a voluntary benchmark of quality care equal to that of our medical colleagues. When not advancing the profession of optometry and providing excellent care to her pediatric patients, Dr. Jacobs enjoys working out, snowboarding and playing poker.